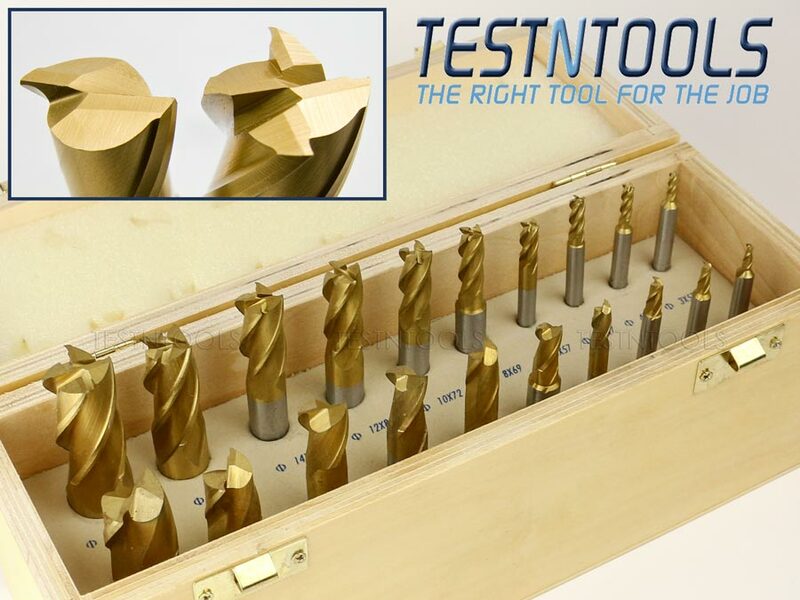 These end mill sets that have proven themselves to cut cleanly and accurately. We have had several customers make the effort to call and say how well they worked, even on high tensile steel. The plain shank suits any milling machine with the right size collet or can also be used with a chuck in a drill press when milling lighter materials.